Provide comfort for the family of Eugene Horvath with a meaningful gesture of sympathy. It is with great sorrow that we announce the passing of Eugene John Horvath on Friday March 8, 2019 at the age of 64. Eugene is survived by his 2 children, Jesse and Karen Horvath. He also leaves behind his 3 cherished grandchildren, Jaiden, Addison and Izayah; brother Les and sisters Anna and Rose. Eugene was predeceased by his parents Eugene and Anna. 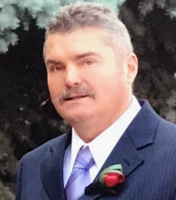 Funeral Mass will be held on Saturday, March 23, 2019 at 11:00 am at St. Cecilia's Roman Catholic Church (321 90 Ave SE, Calgary, AB). To view and share photos, condolences and stories of Eugene please visit www.choicememorial.com. Arrangements entrusted to the care of Choice Memorial Cremation & Funeral Services (403) 277-7343.